Are you tired of going to parties where nobody is dancing and spending a fortune just to have a good time? COLORS is a bicoastal (LA & NYC) monthly party focused on good music and good people from documentary filmmaker, Jabari Johnson. "I was at too many parties where people were just standing around staring at each other. I wanted to create an environment that encouraged people to talk, dance, and enjoy the company of one another, which meant getting rid of all VIP sections", says Jabari. No VIP. No dress code. Just good, epic fun. Check out the pictures above and see for yourself! First weekend of each month in LA, last weekend of each month in NYC and DC (throughout summer 2015). 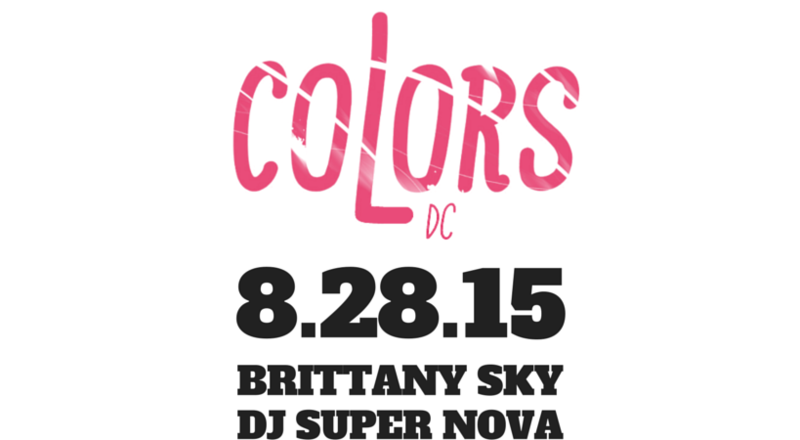 Stay informed via our email list, sign up at MyColorsParty.com. LEGAL: Must be 21+ to attend. As a condition of your attendance at "COLORS NYC", you agree and irrevocably consent to your image and/or likeness being captured on film and or video, the benefit of which shall vest in Colors Party Holdings INC., it's licensees, successors and assigns, and may be distributed throughout the world in perpetuity, without limitation. All sales are final. With RSVP and/or ticket purchase you agree to recieve communications from COLORS PARTY HOLDINGS INC and Jabari Johnson. *Limit 5 per person. General admission, must be 21 years of age to enter.